Here is a collection of tips to help you survive the birthday games portion of your child’s next party. Every kid birthday party is different. Indoors, outdoors, five guests, fifty-five guests, boys, girls, Army theme, Princess theme. But one thing’s for sure – at some point they’ll be playing birthday GAMES. Now, I’ll decorate, I’ll bake, I’ll wrap all the gifts and hand-deliver all the invitations. Heck, I’ll even clean up after everyone leaves. Just don’t put me in front of a throng of kids when it comes time to entertain them! At least that was my initial reaction when first faced with the BIG question – how am I going to survive an entire hour (at least) trying to entertain a mob of children at my daughter’s birthday party? I had two options: Either PAY an arm and a leg and have a professional entertainer do it for you. Or, take a deep breath, prepare myself as best I could and do it myself (and risk the loss of an arm and a leg in the process.). During the party you’ll have so much on your mind that it’s best to prepare as much as possible in advance. Make a list of birthday games and write them down in the order you plan to play them. If any of the birthday games involve music (like musical chairs, hot potato, etc. ), prepare the music ahead of time with the stops so that you don’t have to deal with it during the party. Creative and original birthday games are fun, but they may also be a bit risky because the kids are required to learn something new. I’m not saying DON’T play new games, just make sure there are a few classics in your arsenal. Musical Chairs, Hot Potato, Pass the Present, etc., were around when we were children. And they work. 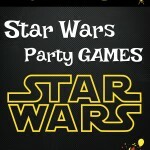 So don’t be concerned that you’ll “bore” the kids with the “usual” birthday games. You can always add a special twist to make them look and sound more attractive. Now that you’ve got a list of birthday games and the music is ready, how do you make sure the kids participate and have fun? Avoid asking the kids if they WANT to play any of the games. They may just say NO. Tell them what the next game is – without any questions and without any options or room for deliberation – and make it sound intriguing. For instance, what sounds better? “Who would like to play Hot Potato?” or “Our next contest is Blazing Potato where you can all win some great prizes just by sitting in a circle”. One child voicing his objection to a certain game can become an instant epidemic. And suddenly you’ve got a group of little protesters on your hands. The first time this happens, be firm (in a kind sort of way) and just let them understand that they were invited to the party and they need to play. This may sound a bit too harsh for such a fun gathering, but it lets the kids understand that you’re in charge and you’re not about to let them ruin the fun by sitting out and distracting the others. Give the kids ample time to play each of the birthday games and that way you don’t need a zillion birthday games. Take Hot Potato for instance. The kids all sit in a circle and the hot potato is being passed around to the sound of music. Let the music play a few beats before it stops. Sometimes, because you may be nervous to get things going, the music is stopped so fast that the kids don’t have time to enjoy. Choose music that the children know and can sing along and have them pass the potato under their arms, above their heads, across the circle, etc. Find ways to make it fun and you’ll be able to turn this classic into a long-lasting game. Prizes don’t have to be large and expensive. They can be trinkets or sweets. It’s the challenge of winning the prize and not the prize itself that most appeals to the kids. Consider handing out the prizes at the end of the party instead of right away. Show the winner their prize, and just tell them that it’ll be put in their favor bag. This way, the prize won’t become a distraction during party time. And, at the party’s end, everyone gets a prize – the favor bags – so if a few kids have a few more goodies, it really doesn’t matter. When playing games be sure you control the types of items that kids bring or play with. One time we had a game with squirt guns, one kid brought a bazooka and everyone just got soaked. Before beginning any games, review with the kids a way in which you will get their attention. This will really help with transitions to new games and activities. It will also give you a way to help them refocus if things get too silly. For example, you might call out a nursery rhyme, song lyrics, play a song, instrument, clap a beat, etc. If you are a younger adult or a teen, then the kids really look up to you. You don’t have to go crazy and make it so you can’t win, but make sure that you don’t win more than a couple of games. You are their role model. If you can, invite someone who is a little older than the kids so that they can model good behavior. It takes a lot off of your chest and allows the kids to feel “bigger” if they are playing with older kids. I have a 10 year old girl and have most of her parties at home the old fashion way. But when it comes to crowd control, it is like rounding up cats! Get some help, even just one or two assistant adults is a big help and have a whistle. I am 13 years old and i recently helped my mum with my baby brothers 5th birthday. I invited my friend and my other brother (12) and his friend helped as well. The only adults were my mum and dad and they were mostly in the kitchen preparing the food and baking the cake so it was fresh. Although it was a challenge to pull off at the end of the party all the kids said it was great! Someone did the face painting, someone did the games, someone set up the next game, someone packed up the previous game, and after the face painting that person was a judge and an entertainer for the kids that got out in certain games. Although this method didn’t work the whole party it worked for most of it and no child ever complained or argued. We might have been lucky or we might have just planned it well, I’m not sure. So remember that if you need help and adults can’t make it or you don’t want to ask, older kids work as good as parents and I think it makes the party guests more relaxed because we are kids as well, just older so they do listen to us but we don’t have the image that they have for their parents. If that makes sense. We enjoy it as much as they do and you don’t really need to repay us except for some cake and lollies. Give the kids a bit of time to have free play at the end of games because this will allow them to be free, some kids don’t like too many rules. To make sure each and every one of them has a good time… Give them some space and relaxing time!! Divide the group into 3 groups (if you are doing 3 activities). We are doing the cave painting, dinosaur dig, and bean bag toss in T-Rex mouth. That way, little ones do not have to wait or the area is not too crowded. They do the activity about 10-15 min. and move on to next one with their assigned group. This tip comes from years of teaching and having my children’s parties.